The South African team moved up to No. 8 in the provisional rankings at the VISSLA ISA World Junior Surfing Championship in California on Friday despite having two more team members eliminated on the seventh day of competition. Luke Slijpen (Hout Bay) resumed his challenge for an individual medal and a significant haul of points towards the team total with a busy performance in his U18 boys Main Event Round 4 heat. The Capetonian rode more waves than any of his three rivals and earned counting scores of 5.33 and 6.33 to secure the runner-up spot in the heat behind Cole Fry (Hawaii). Slijpen will be in action again today in Main Event Round 5 where he faces the top seeds in the division from the USA, Australia and Hawaii. A top two finish there will see the South African progress to the Main Event final while a third or fourth placing sees him drop into the Repecharge rounds where he gets a second chance to qualify for the U18 boys Grand Final which will be run on Sunday. The other Luke in the team, Luke Thompson (Durban), charged through two U16 boys Repecharge heats by posting confidence building 12 point heat totals in each. The national team debutant has been reveling in the Huntington Beach waves and is now four heats away from a medal. Fellow U16 boys teammate Mitch du Preez (East London) was eliminated in Repecharge Round 5 when his heat tally of 11.46 (out of 20) was only good enough for third place behind Tahitian Kauli Vaast (16.26) and Hawaiian Robert Grilho (14.93) in the highest scoring heat of the round. Du Preez ended his 2018 campaign in 25th place in the U16 boys and added 360 points to the team total. Zoe Steyn’s participation in the event came to an end with a 13th place finish in the U18 girls after she placed third in her Repecharge Round 6 match-up on Friday. Steyn’s 450 point haul there, added to the 360 points she earned for her 25th place in the U16 girls division, highlights the massive contribution the 14-year-old rising star from East London has made to the 2018 team. South Africa’s move into the top eight on the provisional standings came about through the elimination of many of their rivals in the cutthroat Repecharge rounds. Going into the final weekend, the 2017 team event runners-up Japan (who are coached by Durbanite Wade Sharp) are narrowly ahead of USA, last year’s team gold medalists, with both countries having nine surfers still in contention. Hawaii with seven and Australia with six team members still competing remain in contention for team medals, while France with three scores to come hold fifth position just ahead of Brazil, Spain, South Africa and Germany, all of whom have two surfers results still to count. The semi-finals of the unique ISA Aloha Cup, a form of relay surfing contested by five-person squads from the top eight ranked nations in the 2017 World Junior Championship, resulted in France, Hawaii, Japan, and USA qualifying for the final, which will award first medals of competition on Saturday. Small waves are predicted to prevail at the start of the day with a possibility of an increase in size to head-high later and into Sunday’s final day of competition. The customary light offshore winds are expected early, trending to light cross winds by mid morning and an onshore wind during the afternoon. 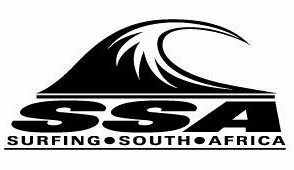 All the action for the two remaining days of the VISSLA ISA World Junior Championship will take place in front of the main Podium and can be followed live on www.isasurf.org starting at approximately 4.30 pm South African time daily.